A new music documentary, Echo in the Canyon, explores the beginnings of the Laurel Canyon music scene in the Los Angeles area. Jakob Dylan uncovers never-before-heard personal details behind the bands and their songs and how that music continues to inspire today. 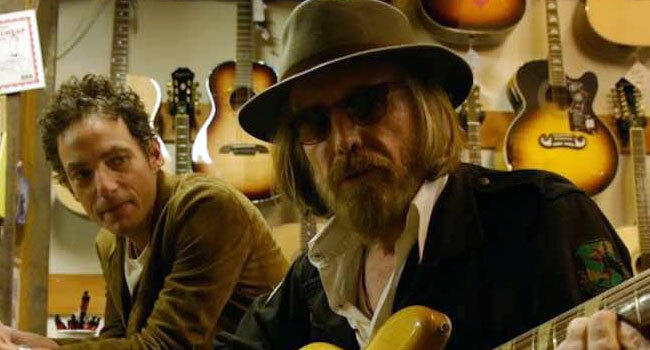 The film celebrates the explosion of popular music that came out of LA’s Laurel Canyon in the mid-60’s as folk went electric and The Byrds, The Beach Boys, Buffalo Springfield and The Mamas and the Papas gave birth to the California Sound. It was a moment (1965-1967) when bands came to LA to emulate The Beatles and Laurel Canyon emerged as a hotbed of creativity and collaboration for a new generation of musicians who would soon put an indelible stamp on the history of American popular music. Echo in the Canyon contains candid conversations and performances with Brian Wilson, Ringo Starr, Michelle Phillips, Eric Clapton, Stephen Stills, David Crosby, Graham Nash, Roger McGuinn and Jackson Browne as well as contemporary musicians they influenced such as Tom Petty (in his very last film interview), Beck, Fiona Apple, Cat Power, Regina Spektor and Norah Jones. The Andrew Slater directed film made its premiere last fall at A Film Festival, The Santa Barbara International Film Festival and was an Official Selection at the New York City Film Festival. It’s been making the rounds at various film festivals this spring, including the San Francisco International Film Festival and Asbury Park Music + Film Festival. Echo in the Canyon opens in theaters widely on May 24th via Greenwich Entertainment.